The Trek Collective: Book bits: New covers and blurbs for 2015 books, and more. Book bits: New covers and blurbs for 2015 books, and more. Coming in October in Sight Unseen, James Swallow's new Titan novel, which takes place after The Fall, and John Jackson Miller's recent crossover adventure, Takedown. November's novel, is the fourth book in the Seekers series, the title of which is newly revealed as All That's Left. The series swings between authors and feature ships, so following David Mack's Long Shot in August, Seekers 4 brings us back to Dayton Ward and Kevin Dilmore, for a new story featuring the USS Endeavour. Initially charted by Starfleet probes dispatched to survey the Taurus Reach, the planet Cantrel V now plays host to a budding Federation colony as well as a combined civilian/Starfleet exploration team. Ancient ruins of an unknown civilization scattered around the planet have raised the curiosity of archeologists, anthropologists, historians, and other interested members of the Federation scientific community. Together, they are attempting to shed light on the beings who once called this world home. After a large, unidentified vessel arrives in orbit and launches a seemingly unprovoked orbital bombardment, the U.S.S. Endeavour responds to the colony’s distress call. As they attempt to render assistance and investigate the mysterious ship, Captain Atish Khatami and her crew begin to unlock the astonishing secrets the planet has harbored for centuries. Does the survival of a newly discovered yet endangered alien race pose a threat not only to Cantrel V but other inhabited worlds throughout the Taurus Reach and beyond? 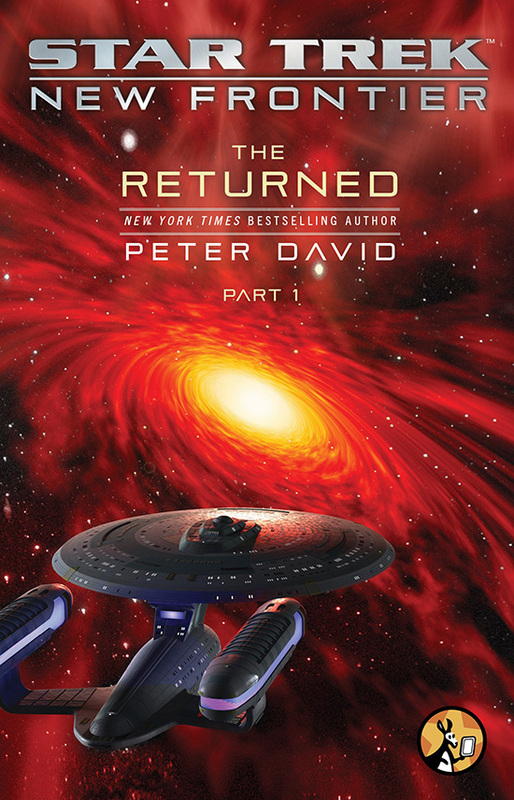 And finally, January picks up the DS9 story after David R. George III's Sacraments of Fire in July. The title, Ascendance, seemed a pretty big hint, and now this blurb confirms, we're finally filling the timeline gap in the DS9 relaunch! Pre-order: Amazon.com, Amazon.ca, Amazon.de, Amazon.fr, Amazon.es, Amazon.it, Amazon.co.jp. More UFOs! More aliens! More time travel shenanigans! Unless something totally weird happens, this will be the novel I work on after I finish the 24 book and Seekers #4. As things stand now, I suspect this will be slated for publication in mid-late 2016, though that’s certainly subject to change. It’s too early to be offering much in the way of details, but I’ll hint now that this won’t be a direct sequel to the first book, either for Kirk and the gang or anybody in the 20th century….sorta. 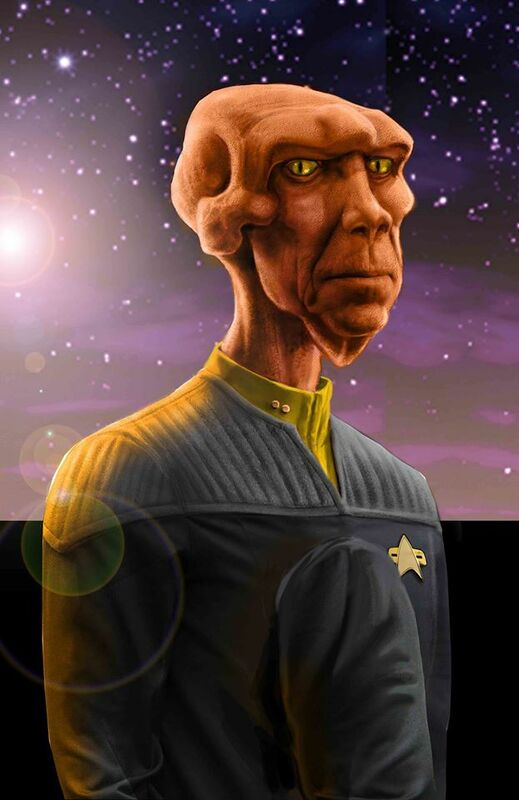 In other books news, Cross Cult have released a new New Frontier character portrait. These images typically feature on the spines of the books, and Arex here is set to appear on the thirteenth book in their releases, Stein und Amboss, aka Stone and Anvil, which is due out in May. It appears there is also a new non-fiction book on the way, one that we probably should have expected. There are few details so far, but next January Little Brown will be publishing Set Phasers to Stun: 50 Years of Star Trek, by Marcus Berkmann. Finally, if you enjoy your author commentaries, then Trek FM's Literary Treks have a couple of new interview episodes worth a listen: John Jackson Miller on Takedown, and Keith R.A. DeCandido on the TNG ebook series, Slings and Arrows. I wanna know what the deal is with the NF cover. They have the wrong Excalibur on there unless there is something we don't know about. Glad to see we are finally getting that big gap we never got when DS9 was lost for awhile without any more books. I'm just wondering where is the story that was mentioned setting onwards with the current DS9 and the fallout after The Fall. Flashback maybe? For New Frontier, to explain the earlier Excalibur. And I offer the same suggestion for DS9, there are two directly connected DRG3 DS9 books on the way, I don't see why they cant both continue the current timeframe and fill in the earlier events in flashback.